South Carolina is currently ranked 29th in the United States for its economic outlook. This is a forward-looking forecast based on the state’s standing (equal-weighted average) in 15 important state policy variables. Data reflect state and local rates and revenues and any effect of federal deductibility. 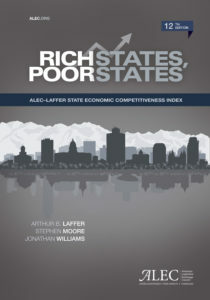 South Carolina is currently ranked 8th in the United States for its economic performance. This rank is a backward-looking measure based on the state’s performance (equal-weighted average) in three important performance variables shown below. These variables are highly influenced by state policy.